Did WhatsApp go down for you on Thursday afternoon? You aren’t alone. The Facebook-owned messaging service is experiencing a major global outage, which led to difficulties in accessing the app and sending messages to friends. A quick check of the useful DownDetector website has users reporting outages in India, Italy, Chile, Romania, Mexico, Russia, Spain, Brazil, France, the US, Holland, Argentina, Germany and more. While no online service is immune to the occasional hiccup, this outage was notable for its global scale which impacted WhatsApp’s sizable user base. The company today has over 1.2 billion users, and is relied upon as the main means of messaging for many people. 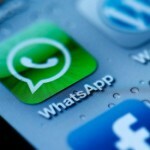 Will Facebook Soon Be Putting Ads on WhatsApp?